I’ve lived in a total of nine cities, six of which I remember. Whenever I move, I find myself in a kind of liminal space. It’s a wavering and seemingly unstable moment when my mental map of previous places and times isn’t quite ready to calibrate to the new terrain. Eventually I’m overpowered by a desire to extend myself into the unexplored space — to shift from a state of disorientation to assimilation — and my exploring becomes increasingly intentional. This past summer was my first time in California. Though it was probably due to the brevity of my stay, I felt a certain release that drove my meanderings through the city. There’s something alluring about this fleeting state, and the kind of self that emerges from the cartographic practice that follows. Aeronautical Chart Service Map, March 1944. Almost immediately, the geospatial arrangement of the Prelinger Library feels familiar. Books about soil can be found along the bottom shelves, and the collection extends upward and outward, physically and conceptually. Starting locally with books about San Francisco and its geography, the collection of ephemera — books, zines, maps, periodicals — sprawls across the United States, intertwines alternate and fictional histories, and stretches into publications on outer space. On one of my many visits throughout the summer, Megan Prelinger, who co-founded the library with her husband, Rick Prelinger, shared with me her love of the outdoors. As she led me through the shelves of landscape studies she explained, “the place where the best ideas come together is in nature.” 2 Most famously described as a “collection arranged for serendipity,” the library’s creative juxtapositions allow for the individual and physical process of discovery to contribute to the research as much as the content of the material itself. Rick illustrated how serendipitous findings can form new focal points for examining history. He showed me maps of the Bay Area in the 1940s, a time when the primary mode of transportation to and from the city was by way of ferry. 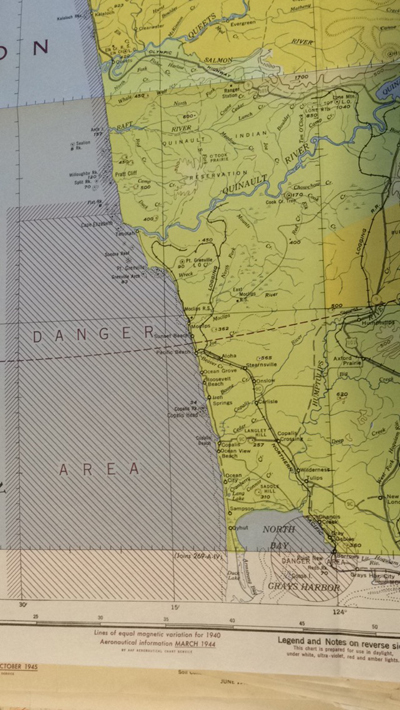 The maps capture a fascinating snapshot of wartime security and secrecy. 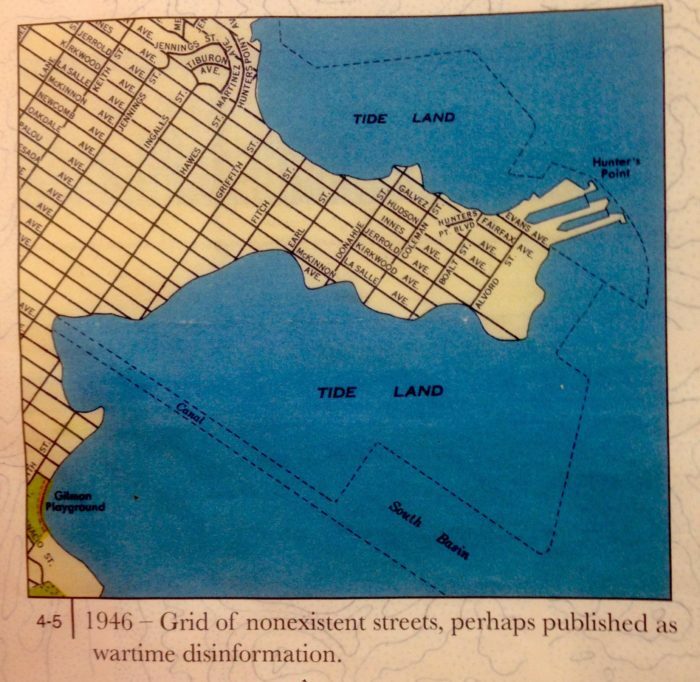 Nonexistent streets along the ports (possibly a strategic wartime ruse) and Air Force maps of marked danger areas (dangerous to whom?) begin to unveil gaps within the narrow historical picture they paint. What is theoretically innovative, and politically crucial, is the need to think beyond narratives of originary and initial subjectivities and to focus on those moments or processes that are produced in the articulation of cultural differences. These ‘in-between’ spaces provide the terrain for elaborating strategies of selfhood – singular or communal – that initiate new signs of identity, and innovative sites of collaboration, and contestation, in the act of defining the idea of society itself. Wandering through these shelves feeds an urge to explore that’s similar to the one a city demands, but the energy here feels more stable. Serving as both a disruption and an escape from linear taxonomies, the library forms an “in-between space” from which new visions of history and imaginings of the future can be drawn. 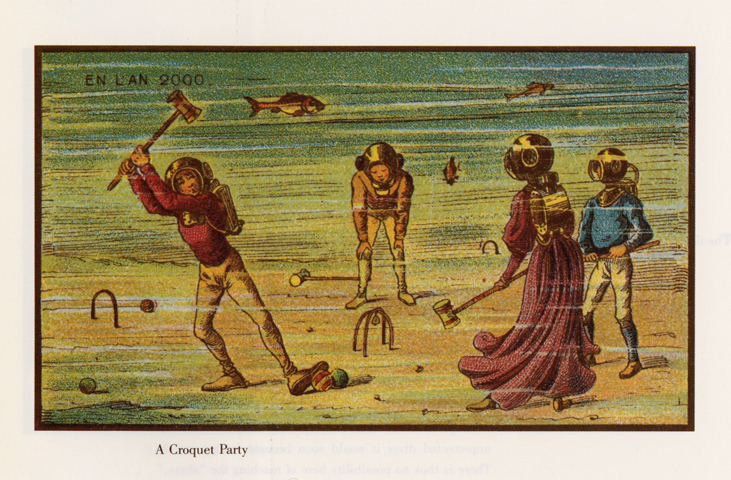 A 19th century prediction of 21st century game of underwater croquet. San Francisco sometimes feels like a series of discombobulating juxtapositions. Hills and trees in a city lined with vibrant murals, stiff white cubes, luxury apartments, and cardboard. It feels necessary to react and reconfigure myself to these chasms along the way even though they can’t be reconciled. Yet as a pedestrian, my lines of thought never quite align with the city streets. There’s a moment of liberation from past maps of times and spaces, sparked by a new city’s seeming endlessness. However, the ease with which I can forge a path simply by extending the past map key onto the new terrain is tempting: the plight of a lazy cartographer. But linger in this space for a little while longer, and a new place unfolds on its own — a city arranged for serendipity. 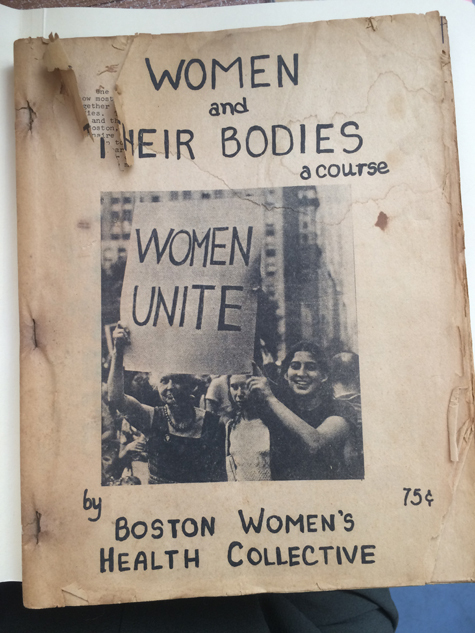 Pamphlet from the women’s movement in the 1960s. The Utopias section at the Prelinger Library is nestled between serious and satirical texts on nuclear warfare, radical studies, philosophy, religion, and the history of the US space program. The shelf contains publications written in the 19th and 20th centuries that imagine the future of the world. The predictions for technology, sleeping habits (one proclaimed an optimal daily routine with just two hours of sleep), transportation, and medicine (another praised the potential for the now EPA-banned drug DDT) uncover more than just the priorities of the time. 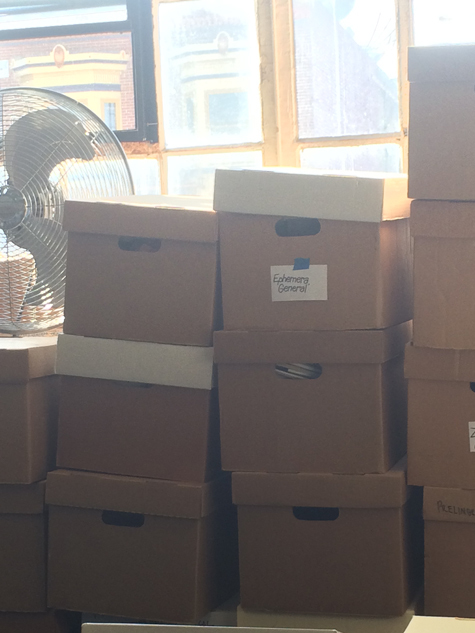 Just a few steps away are boxes of social movement ephemera that hold pamphlets, zines, and posters of movements for women, students, labor unions, and right wing groups in the 70s. “They’re not meant to be quaint, they’re not meant to be old,” said Rick as we turned through pages of second-wave feminist zines and poems unsurprisingly relevant today. There’s an underlying tension between the boxes of social movement ephemera and utopian books. Both present imaginings of an ideal future from a specific time and place — some of fair labor and racial equality, and others of optimal work schedules and racial purity. In what Rick described as “a simultaneity of time and place,” the library functions as a space to resist. It is perhaps necessary, then, to linger in the gaps between different imaginings of the future to see what kinds of utopias emerge. We all have a utopian streak and we need to act on it. Bhabha, Homi K. “Border Lives: The Art of the Present.” Introduction. The Location of Culture. London: Routledge, 1994. N. pag. Print. It should be noted that I caught her on her way to an ornithology class. Bhabha, Homi K. “Border Lives: The Art of the Present.” Introduction. The Location of Culture. London: Routledge, 1994. Print.